This step is no longer required if you are using the build 9.5.21 or newer. 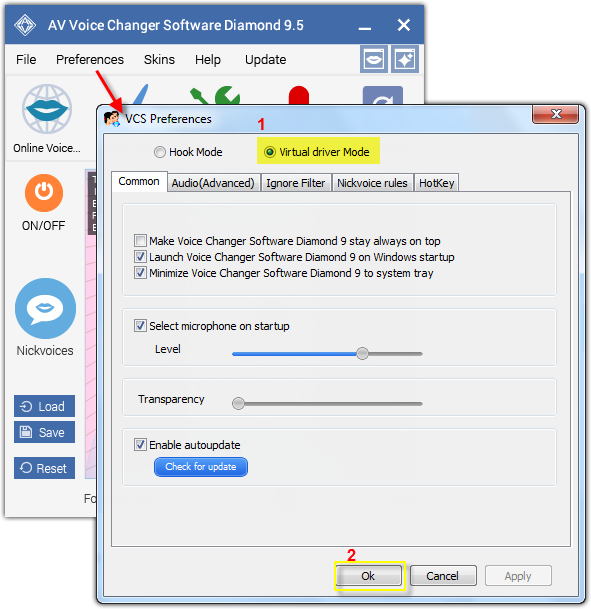 Since the release of Voice Changer Software Diamond 9.5.21, Virtual Audio Driver (VAD) Mode is the default and primary working method. This change is guaranteed not to impact software performance and user experience quality. To connect Voice Changer Software Diamond with another VoIP application: Change the program’s microphone input to VAD. » Details in Step 3 below. To process a list of ready audio files: Take advantage of the premium feature File Morpher. » Details in this tutorial. - On VCSD 9.5 main panel, click Preferences to open the VCS Preferences window. - Go to VCSD 9.5 main panel, choose the morphing effects and make adjustments until you are satisfied with the vocal output. There are several ways to change your voice, including voice morphing and audio effects. - You should read this guide for more in-depth information: How to use Voice Morpher in VCSD 9.5. - Remember to check out our Add-on store to download new and cool audio effect packs, updated regularly. Note: Remember to choose the packs used for VCSD 9.5 only. The other ones which applied for other products cannot be used for VCSD 9.5. - When Settings window opens, select Audio & Video (3) category. - In Audio section, choose Microphone (Avsoft Virtual Audio Device) (4) as the microphone input. From now on, Skype will get output signal from VCSD 9.5 and your voice will be auto morphed. Note: Select Make a free test call (*) to use Skype's testing service and check the result of the new changes. 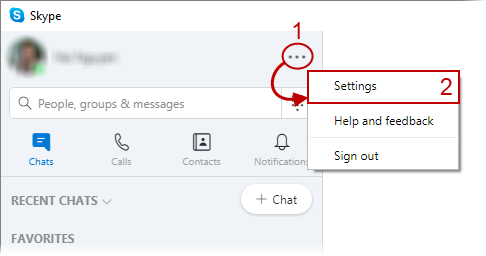 Start voice conversation with Skype. The morphed voice will be applied automatically. Note: While VCSD 9.5's Virtual Audio Driver is being set as the audio driver for Skype, do NOT turn off VCSD 9.5 when doing voice chat. 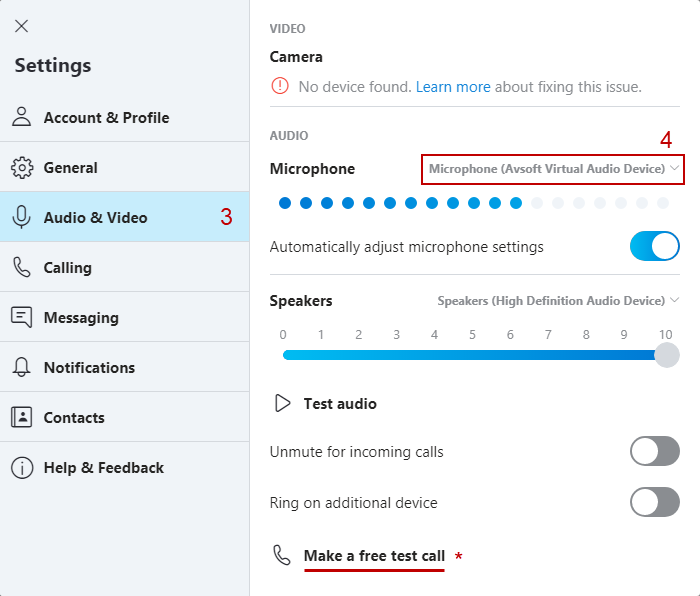 If you don’t want to use VCSD 9.5, change the audio settings of Skype back to normal audio source.